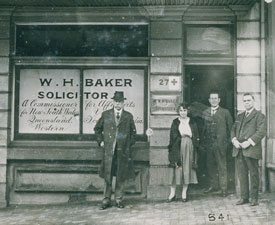 At Baker Love Lawyers, we have extensive experience in providing advice and representation to both individuals and corporate clients on employment issues. We understand that employees are the lifeblood of all businesses, and it is essential that appropriately drafted employment documents are in place, including employment agreements, workplace policies and procedures. With the introduction of new employment laws in January 2010, and more change afoot, we now have a system of consolidated Modern Awards, National Employment Standards and a good faith bargaining regime. At Baker Love Lawyers, we make sure that you are kept up-to-date on all developments with respect to your workplace issue, so that you have the knowledge to make informed decisions. We have the experience to successfully negotiate a settlement on your behalf or represent you in the various Tribunals and Courts if a dispute cannot be resolved. Some of the services we provide range from advice on and drafting of employment agreements, to unfair dismissals and Workplace Health and Safety (WH&S) matters. We cover employment law issues from both the employee’s and employer’s perspectives. Whatever your employment law needs are, Baker Love Lawyers can provide the practical, personal and professional advice and representation that you need. Employers and Workplace Agreements: With an ever-increasing importance being placed on confidential information, it is important to negotiate confidentiality agreements and have them form part of the employment agreement. Further, Modern Awards only typically govern minimum terms and conditions of employment. Post-employment restraints are recommended to prevent former employees interfering with your clients, staff, confidential information and intellectual property. Employees and Unfair Dismissals: We can give you immediate, accurate and thorough advice about negotiating the terms of an employment contract, potential breaches of employment contracts, and unfair dismissal claims. We will advise you of all developments to your employment law issue.